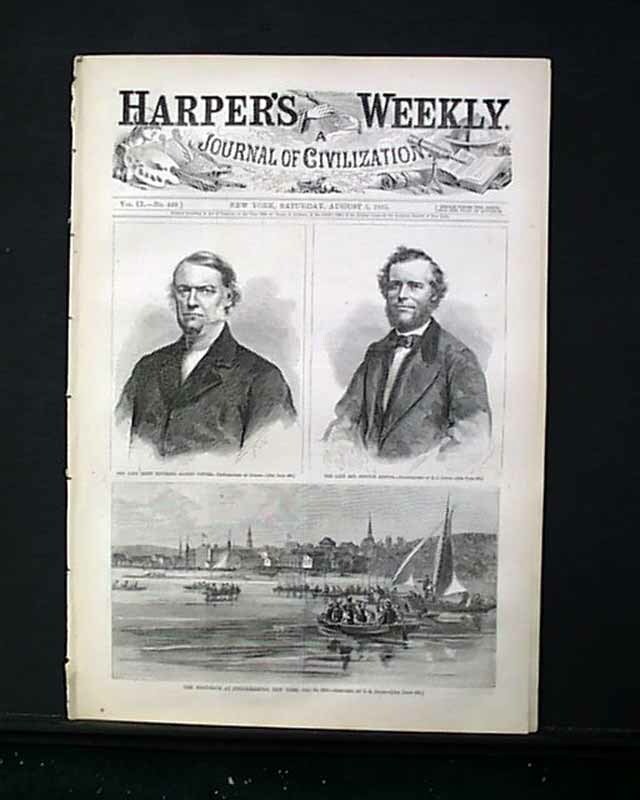 HARPER'S WEEKLY, New York, Aug. 5, 1865 The front page has prints of: "The Late Right Reverend Alonzo Potter" "The Late Rev. 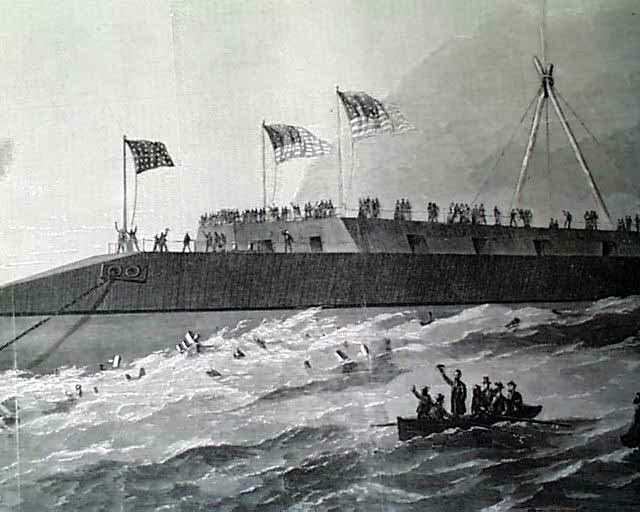 Newton Heston" and "The Boat Race at Poughkeepsie, New York". 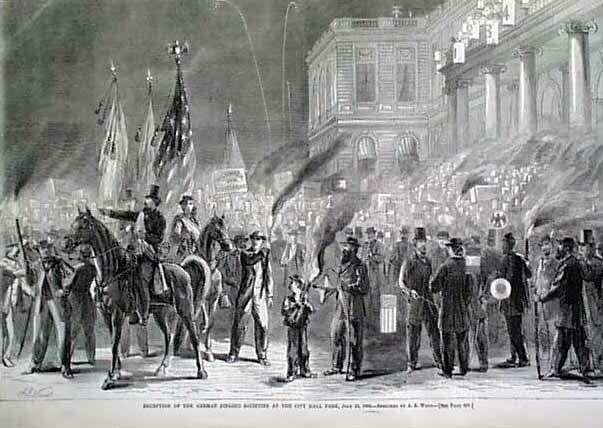 Prints inside include a full page: "Reception of the German Singing Societies at the City Hall Park" and: "The Launch of the Ironclad 'Dunderberg". 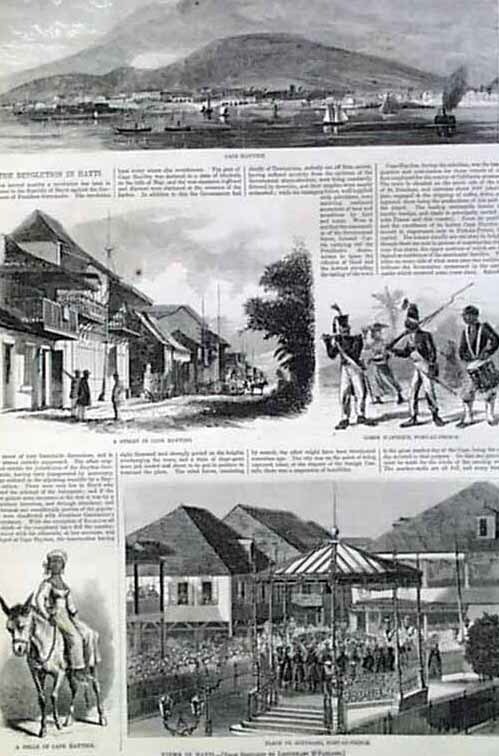 There are several prints of "The Revolution in Hayti" including: "Cape Haytien" "A Street in Cape Haytien" "Corps D'Afrique, Port-Au-Prince" "A Belle of Cape Haytien" and "Views In Hayti". 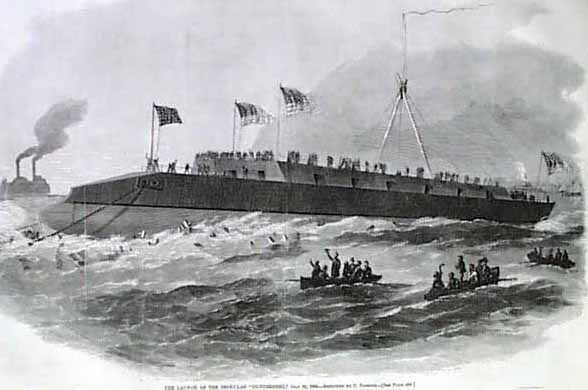 Other prints include: "Major-General Charles Griffin" "Mr. Clarence A. Seward" "The Tredegar Ironworks at Richmond, Virginia". 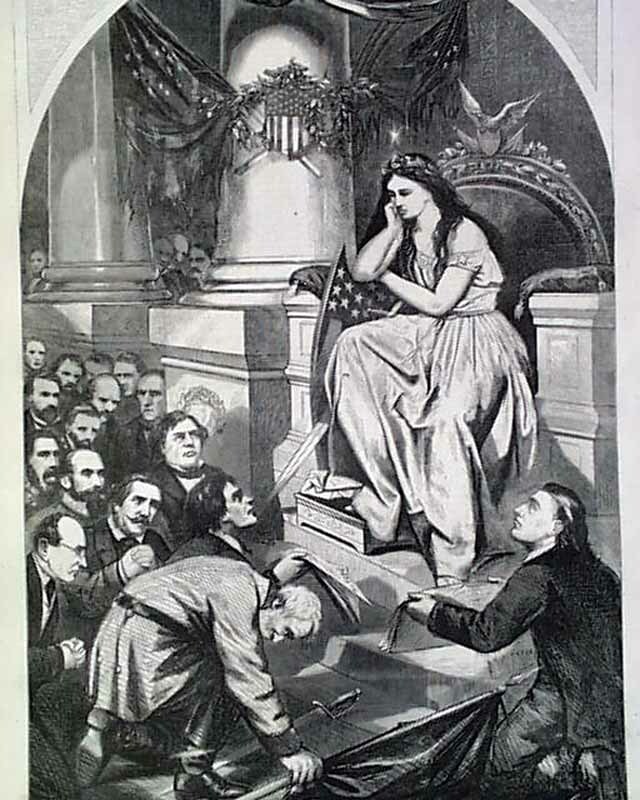 Perhaps the best prints are two full pages by famed artist Thomas Nast captioned: "Pardon" showing the Liberty figure considering pardon for the Confederacy; and "Franchise--And Not This Man?" 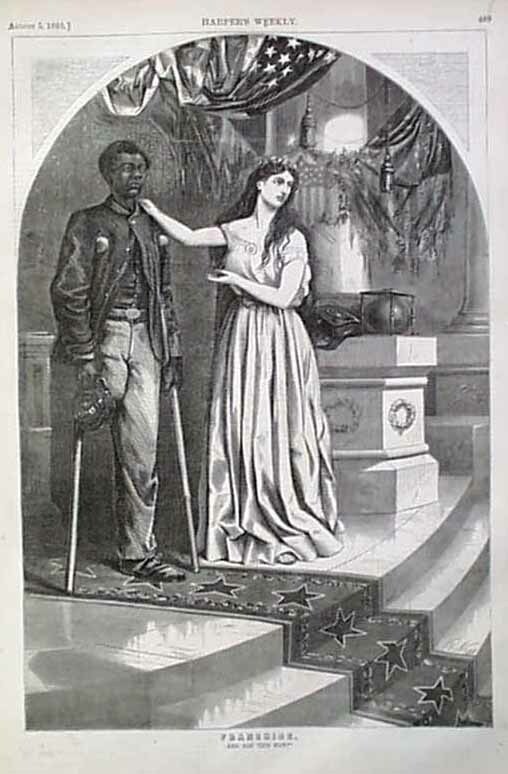 showing the Liberty figure with a Black soldier who had lost a leg. 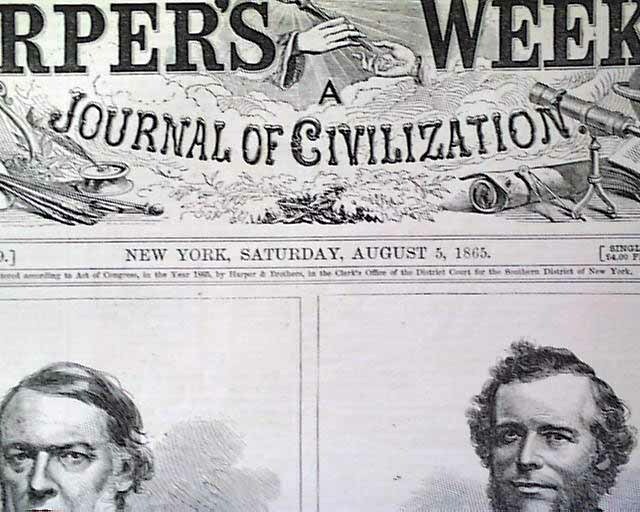 The back page has a political cartoon title: "Our New York Board of Health". Complete in 16 pages.